Parker Bay has modified the regions by which countries/mines/equipment are grouped in the Database. Both the old and new regional definitions are currently maintained in the mines table. 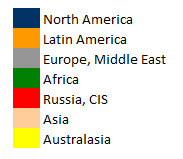 The maps below show the 7 regions, highlighting the changes made. We are planning to replace the old regional definitions with the new. If any user objects to this, please contact us to discusss your requirements. North America East and West combined into one region, North America. 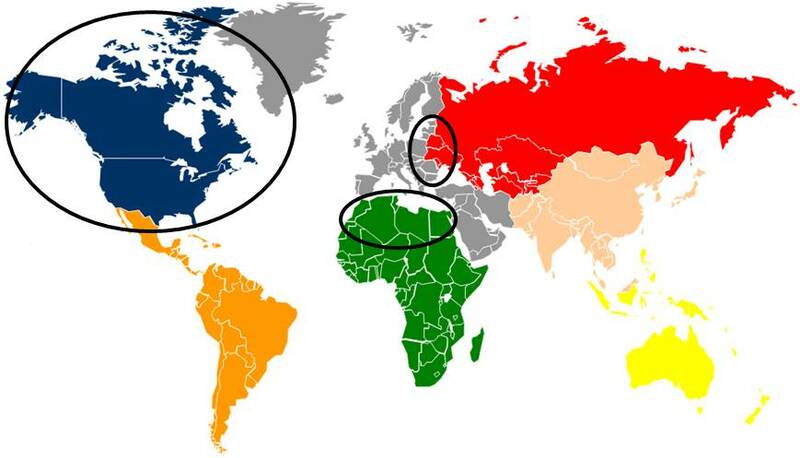 Northern African countries of Morocco, Algeria, Tunisia, Libya and Egypt moved from Europe/Middle East to Africa. 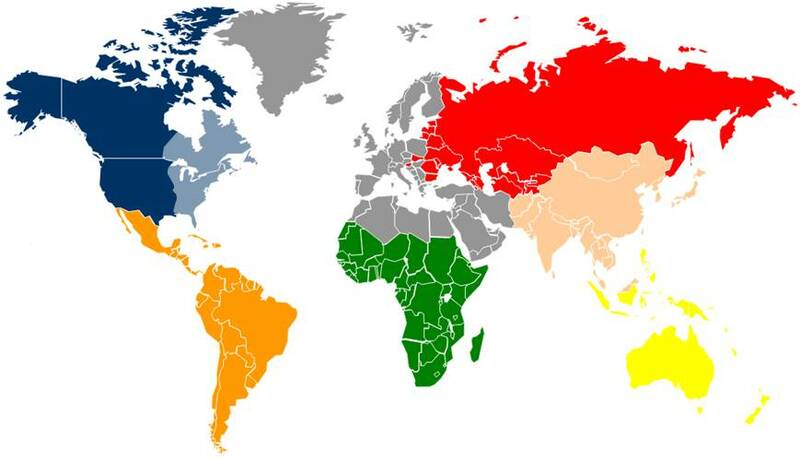 Former Soviet Union now “Russia/CIS” (Commonwealth of Independent States). FSU countries that are not members of the CIS (Estonia, Latvia, Lithuania, Slovenia, Slovakia, Romania, Bulgaria) now in Europe/Middle East. All other regions remain unchanged.